Microsoft Exchange Server. All Versions. Update: Be aware, this script has not been tested with SIP, X400 or other address types. I am working on an update to validate these scenarios, but in the meantime, proceed at your own risk with these address types. I recently encountered a question in an online forum where someone asked for a script to convert all of their user’s email addresses to lower case values. While this doesn’t affect the message delivery, it can have an impact on aesthetics when the address is displayed in an external recipient’s email client. An Exchange Email Address Policy can do this to some degree, but I wanted to see how it could be done with PowerShell. Email addresses (proxy addresses) are a multi-valued attribute, which can be tricky to work with. $RenamedList += $Address.smtpaddress + "TempRename"
Puts all mailboxes into the $MailboxList variable. If you don’t want all mailboxes, edit the Get-Mailbox cmdlet as you see fit. Filters out X400 and other non-SMTP addresses. Creates an array called $RenamedList which stores each proxy address with “TempRename” appended to it (e.g. Rgallalee@demolab.localTempRename). Creates another array ($LoweredList) and use the “ToLower” method on each proxy address. Sets the proxy address for the user to the value of $RenamedList and then to $LoweredList. This is how we get around the case case insensitivity – name it to something else and then name it back. Step 4 and 5 don’t preserve the “Primary” / “Reply-To” address, so we set it back manually with the last line. Note: This script turns off the email address policy for each user. This is a similar approach, but for mailboxes migrated to Office 365. In this case, only the Primary SMTP addresses are targeted. It may also be faster than the above, due to the fact we’re only operating against mailboxes that have uppercase (vs all of them). Chances are, if you read my site, you also read the Exchange team blog. This means you’ve seen the PST Capture Tool! I’ve had a chance to work with this tool for a little while now and have found it to be a delight! This is a line we’ve all recited a time or two (ok maybe not exactly that line), but do we even know why? Are we just parrots, or do we actually have a reason for condemning this hugely prolific file format? I’d even go so far as to say you might want to use PST files for archiving corporate email! If you run a small shop – or a big one that isn’t subject to any retention policies. A group policy configuring AutoArchive (and a note to your users) might be a good way to implement spring cleaning in your Exchange data stores. See, PST files actually can serve a purpose! In most situations, PST files represent unmanaged storage of email. For someone who is charged with administering an email environment, this means we aren’t able to do our job. If users begin to rely on something that we aren’t taking care of; what happens when it breaks? We’ve all had the uncomfortable task of telling someone we can’t get their data back at least once in our careers. It doesn’t make for fun times. More important than our comfort; many organizations are subject to regulations which require them to turn email data over to the courts upon request. A judge wont want to hear your sob story about how PST files aren’t searchable, and how you’re going to have to look across the whole network by hand to find that email thread. Set PSTDisableGrow to “1” (without the quotes). This will allow users to mount PST files in Outlook, but it will not allow any new content to be placed within. Don’t worry about overkill here. I used a single GPO for all 3 settings. Outlook version X doesn’t care about extra registry settings in Outlook Y’s key. PSTDisableGrow has some siblings; read more about DisablePST, DisableCrossAccountCopy and DisableCopyToFileSystem here. That’s all for now, have a great week! 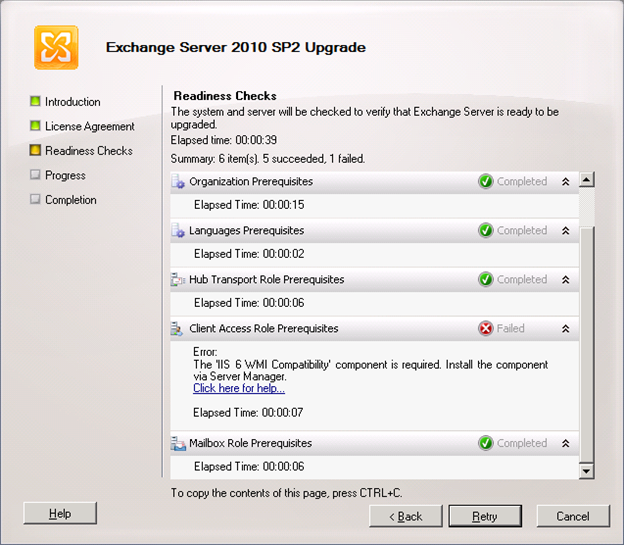 Today, Microsoft released SP2 for Exchange 2010. You can download SP2 here. A “Hybrid Configuration Wizard” (HCW) – which is used to guide administrators through the Office 365 Rich Coexistence setup. BTW, you’ll notice Microsoft actually no longer uses the phrase “Rich Coexistence”, but instead prefers “hybrid” configuration. Address Book Policies (ABP) – which allow an Exchange organization to segment the address list so that separate user populations can be hidden from each other (such as in a multi-tenant environment). Here is an article that describes how this works, as well as another discussing some of the limitations. Cross-Site Silent Redirection for OWA – which allows more seamless OWA redirection in a multi-site topology. OWA Mini – which provides a text-only OWA experience so that you can use OWA from phones that do not support ActiveSync. 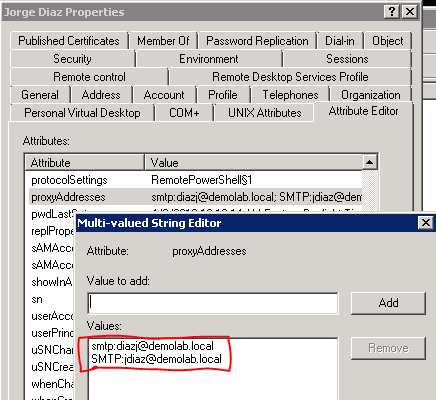 Exchange 2010 SP2 extends the schema. One interesting change is the new msExchExtensionAttribute attributes. We’ve had 15 custom attributes for a while now, but this adds 30 more, all of which are multi-valued. For your reference, Microsoft tracks Exchange schema extensions on this page. Administrators can now disable the auto-mapping of user mailboxes in Outlook 2007/2010. This may be helpful if a user has the “Full Access” permission to many other mailboxes. By default, Outlook will try to mount all of them which could cause performance issues. On some new hardware, I clocked the upgrade at ~22 minutes. Ironically, Exchange Update Rollups often take longer than this! There are many new Wiki pages discussing the features of SP2. Use these until formal TechNet documentation is available.